There’s less than a month to go until Valentine’s Day, and if you’re planning on proposing this year, we’ve got you covered. While Dubai is full of romantic restaurants, if you’re looking for something a little different, you’ve come to the right place. Here are five of Dubai’s top spots for a unique, and romantic, proposal. Fancy popping the question from a basket some 4,000 feet high? Balloon Adventures Dubai has put together their ultimate marriage proposal package with a sunrise hot air balloon experience. 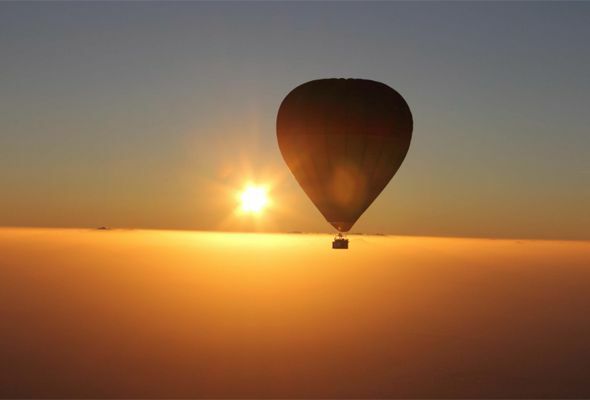 Opt for one of their daily sunrise group experiences, or book a private, smaller balloons all to yourself, and watch the sun rise from the sky as you ask the big question. The balloon ride lasts about an hour, with breakfast included afterwards. 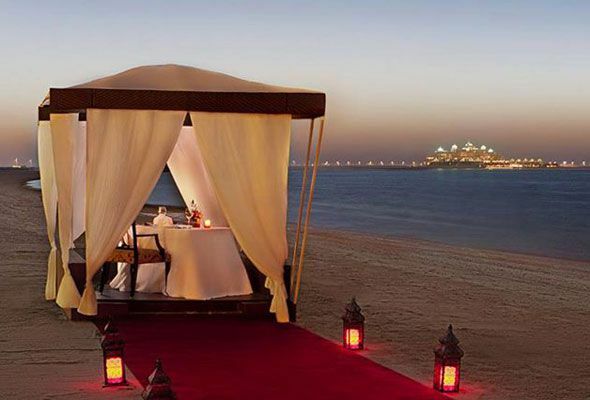 Enjoy an unforgettable dining experience under the stars at Jumeirah Zabeel Saray on the Palm Jumeirah. 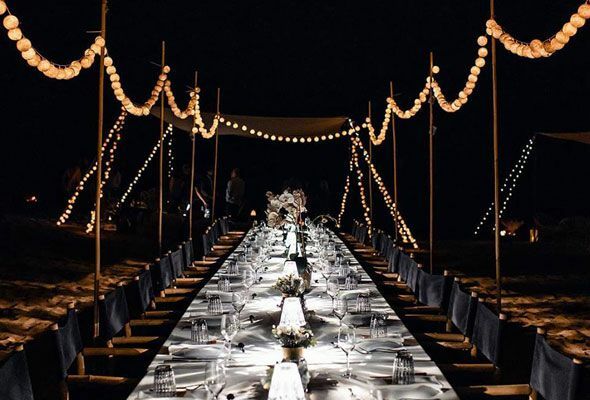 You can customise your menu beforehand, then on the evening you’ll be served by your won butler, with a gourmet dinner on the beach in a private gazebo. 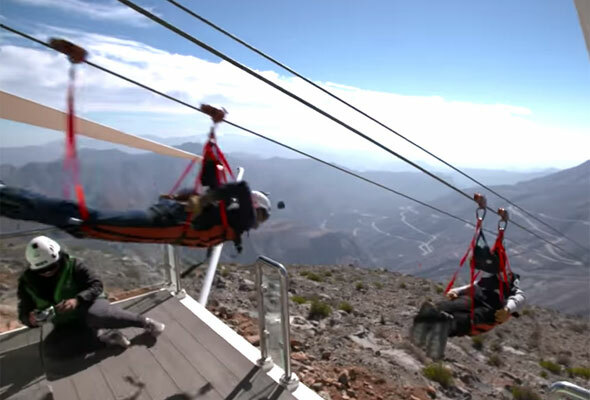 If you like a thrill and fancy proposing in the mountains then you should definitely consider zip lining from the highest mountain in the UAE. This exciting 1km ride reaches speeds up to 150 kph, and would be an excellent way to begin the day. Just remember to sort your hair out before your photo – and don’t drop the ring! If you’re planning on asking the big question on a budget, there are few places more picturesque than Dubai Miracle Garden. 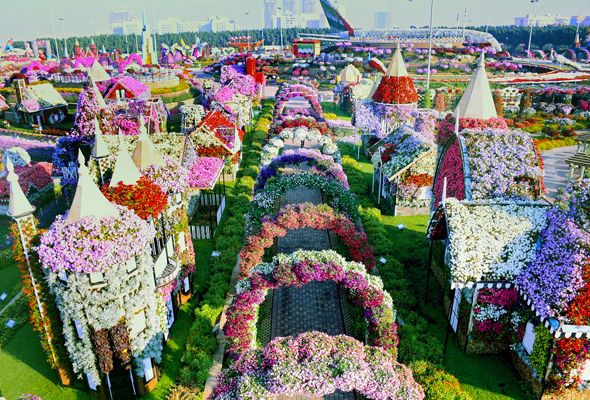 Tickets cost just Dhs45 per person, and it’s home to some million blooms, making it a great spot for a romantic stroll. And if you want to capture the moment, it may be worth hiring a photographer – there are endless brilliant backdrops throughout the gardens.